I just want to say, Consistency is everything. Trading is ALL about Consistency. If you find a system, you do reasonable backtesting and some forward testing and you find that it gives you a statistical advantage (an edge) then the next step to take is simple. Just trade it. One must stay consistent. IF you keep adding or deleting indicators to your chart day in a day out you probably are not consistent. And how can you be consistent if you keep changing the environment for your mind and your eyes. Your eyes must see the same picture over and over and must not expect changed picture everyday. Meaning, if you keep using different templates on a weekly or daily basis, consistency will be hard to achieve. Beware The Template Syndrome: So I urge everyone to select a template and then forget about other templates. If you're like many of us, you probably have over a dozen templates in your mt4. I've seen some people when they click on their templates button two or 3 columns appear, yes hundreds of templates. But that leads to nothing. Our first indicator is price, you can add 2-3 more derived indicators anything more than that would just complicate things. 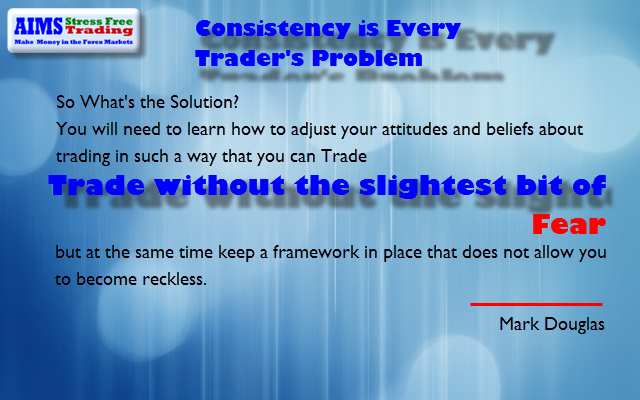 Trading is ALL about consistency. and "Consistency = Patience + Discipline. " If you want success in trading you must treat it as a business. You must be thorough. You must keep a journal and record everything. Accurate recording leads to better faster learning and helps with consistency. In a phrase successful trading is nothing but acquiring a personality trait. Being Consistent. Let this be your new years resolution. 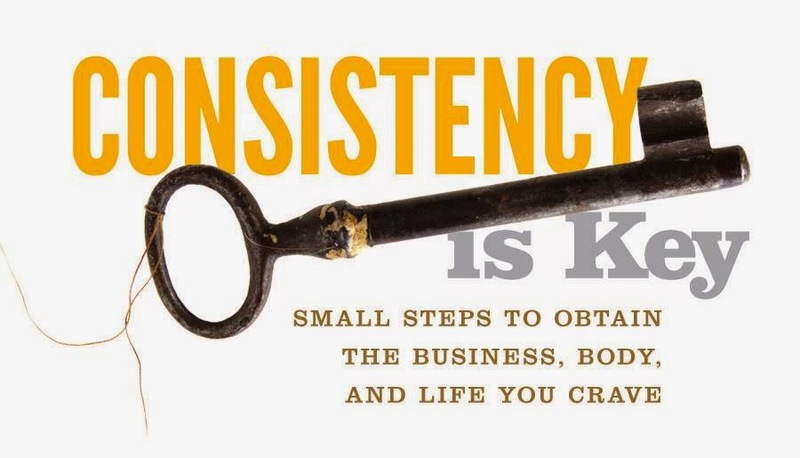 To remain consistent so that you may find success and remain consistently profitable.